Click here to go to page 1 of the walking travel tips. - You will not enjoy your walking vacation in Africa without a good pair of walking boots. Flip-flops and open sandals are not proper; you need walking boots that are high enough to offer protection to your ankles. In addition they should be water proof. Sneakers don't have a good grip, so these are out too. You are better off with an old walking boot rather than the sparkling out-of-the-shop hiking boots, which no matter how well fitting they feel – statistically they are more likely to give you blisters – which can of course ruin your walking safari. - Think blisters, think socks. You need good socks that will draw sweat from your feet and also prevent your feet from moving in the shoes (reduce free-play). Get socks that come above your boots – they are handy when your African walking safari is in long grass which can be very irritating on the skin. - Many travelers think of Africa as the place of long sunny days. This is true but when it chooses to rain in Africa – it pours down hard. When packing for your walking holiday have rain in mind and pack a light weight water proof jacket. 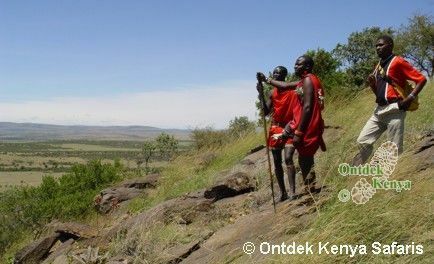 No harm carrying it and it doesn’t rain than saying: "Oh, I wish..."
- For your Kenya walking vacation you will need comfortable hiking clothes. Jeans are a strict no-go-zone – they don't absorb sweat but they absorb every drop of rain (well, should it rain and double tragedy you had ignored the bullet above). Keep your clothing light but they must be of a material that quickly gets the sweat away from your skin – otherwise you will be up for nasty friction that will interfere with your Africa walking holiday. - Water and how much you drink will determine how well you will enjoy your African travel. First know if your outfitter will be providing water, if yes, how much? If it does not tally with your daily intake make arrangements to get extra water. Will the water be bottled? If yes, you may not necessarily need to bring your water bottle. Where in doubt carry your water bottle + water purifying pills and any minute you can top up your supply. - Even if your African hiking safari is fully supported you need a small day pack (water proof), that should fit your packed lunch, water, photo gear and sunscreen etc and those personal essentials that you should always have with you, mainly your passport, credit card, money and plane tickets. 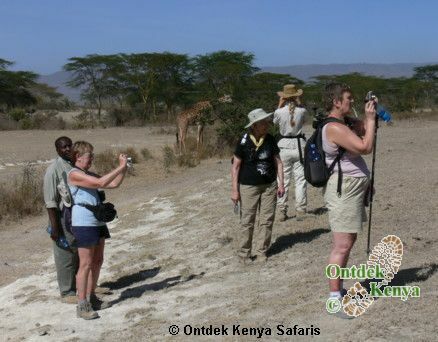 As you counter check your packing and to-do-list for your Africa walking travel, Ontdek’s last tip – but a very important one is come with an open mind, what awaits you on a walking safari can’t be fully described in a website, you have to see it. 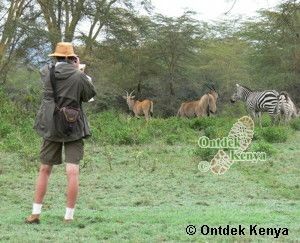 Contact Ontdek Kenya Safaris for your Kenya walking travel. Click here to go to page 1 of the travel tips.